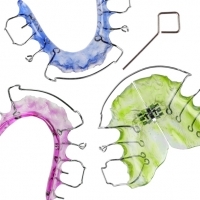 For a gentler, lower profile orthodontic treatment option, In-Ovation System self-ligating braces are great option. Here are some factors to consider before choosing In-Ovation. 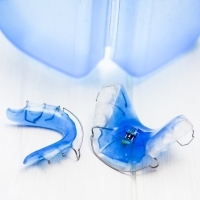 When you're not wearing your retainer, it's very important to take care of it and store it properly. Here’s how to keep it clean and damage free. What Happens During An Adjustment Appointment? About every 4 - 6 weeks during your orthodontic treatment, you'll attend an appointment at our office to have your braces adjusted. This is a necessary component of your treatment and should not be put off. Tongue thrusting (otherwise known as immature swallow or reverse swallowing) is an orofacial muscular imbalance that causes the tongue to protrude through the anterior incisors when a person swallows, speaks, and sometimes even when the tongue is at rest. If left unaddressed, it can cause serious orthodontic problems. Until recent years, the majority of people who had braces were children and teens. Today, more and more adults are choosing to undergo orthodontic treatment, and they have their own set of unique challenges to go with it. Our patients are sometimes a bit dismayed when they find out that they'll have to wear a retainer after their braces treatment is complete. Here’s some information about how long they need to be worn. We know how exciting it is for our patients when their braces finally come off – we're excited too! But now the work of maintaining your straight new smile begins. Here's what to do.